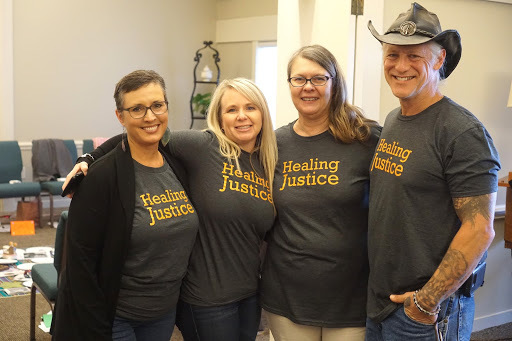 What is a Healing Justice retreat? 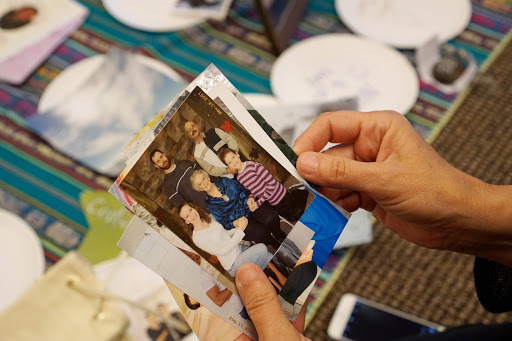 Our retreats create a safe, nurturing, and confidential space in which people who have been harmed in these cases can come together and speak openly about their trauma and loss, provide understanding and support to one another, identify ways their needs can be met, and begin the road to healing and recovery. The retreats are led by Healing Justice’s Founder, and co-facilitated by past retreat participants. Our social work staff is present throughout to provide specific support as needed. What activities take place at the retreat? Our retreats typically begin on Thursday evening and run through Sunday morning. The main activity at the retreat is a continuous group circle. We also include other group activities during the retreat when we relax and have fun, such as shared meals, art projects, and games. All participants are expected to be present for all activities, thus we ensure that breaks and other personal or “down” time are built into the schedule. Our retreats are held at the beautiful Roslyn Retreat Center in Richmond, Virginia (http://www.roslyncenter.org). Stretching over a pristine 150 acres of Virginia countryside, Roslyn provides retreat attendees with a relaxing and fulfilling experience. For people traveling long distances (typically more than 300 miles), Healing Justice will purchase a round-trip plane ticket up to $600. We will also assign a local driver to provide car transportation to and from the airport. For those who live within 300 miles, we will reimburse you for gas and mileage at a rate of 55 cents per mile. What should I bring to wear at the retreat? Please bring relaxing, comfortable clothes. Please also bring outerwear for walking outdoors. There are no swimming pools or hot-tubs at the retreat center, so there is no need for bathing suits. There is a small workout facility on the campus, so you may wish to bring exercise clothes. For more specific information, check the weekend forecast before leaving for the retreat and pack accordingly. As for toiletries, the rooms come with soap and shampoo. Every participant should bring a small object that has some special significance to you. Our special objects will be shared with the group during circle time. (Examples: photograph of family, special toy from childhood, special gift from the past, etc.) Please also bring your Healing Justice t-shirt if you already have one. We will provide you with a t-shirt if this is your first retreat. May I bring anyone with me to a retreat? You may request to bring a family member who was also directly affected by the wrongful conviction. Please note that pets and children may not attend, so arrangements must be made for them beforehand.